Japanese food has plenty to offer for the vegetarian and vegan eater. Here are a few Japanese food recipes to introduce you the meatless options in Japanese cuisine. Of course, my favorite thing about being a vegetarian when visiting Japan is the vegetarian sushi that seems to be everywhere. If you're eating out at a Japanese restaurant, you're bound to find some seaweed or tofu salads, vegetable tempura, miso soup, watch out for fish in the broth though, you probably need to ask, and of course edamame. If you're lucky, you'll also find vegetarian noodle dishes, dumplings (called gyoza) and vegetarian sushi. 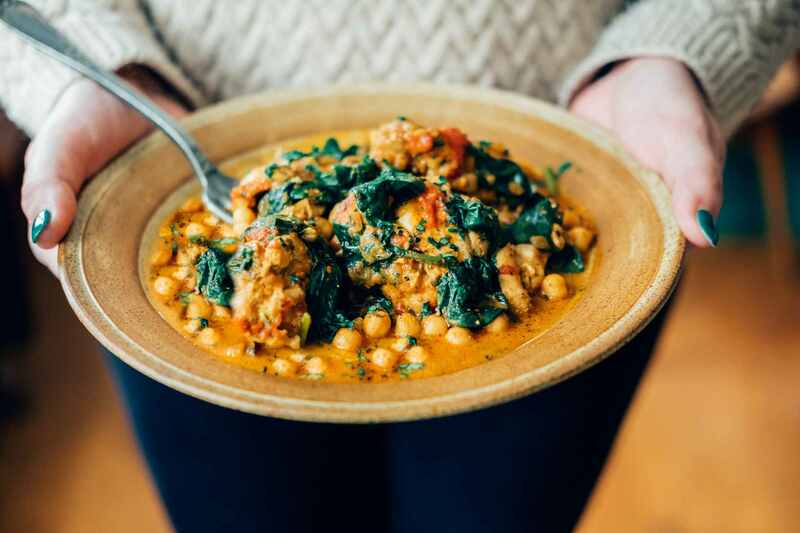 Indian food is highly regarded as a great global cuisine option for vegetarians and vegans, and nearly all Indian food restaurants will have a number of options including vegetable curries, lots of lentil, and bean dishes. In the United States, we've found that many Indian restaurants use olive oil in place of the traditional ghee (butter), but vegans may want to double check. Thai food is well known for being friendly to vegetarians and vegans. If you're traveling to Thailand, watch out for fish sauce, called "nam pla" in Thai, which is in just about everything, but is easily substituted with soy sauce upon request. When making Thai food at home, there are so many possibilities. Noodle dishes, a rainbow of curries, spring rolls, glass noodle salads, papaya and mango dishes, coconut soups, and rice dishes are just the beginning. Chinese food is a great option for vegetarians and vegans. In China, you'll find quite a few all-vegetarian restaurants. They are usually associated with a temple or religious community. Many non-vegetarian restaurants offer few options. In the US and the UK, Chinese restaurants vary with how friendly they are to vegetarians and vegans. Most will have several options at a minimum, and some will have dozens of choices or entirely separate vegetarian menus if you're lucky!